At the Jan. 6-9 meeting of the American Philological Association, Classics Professor Kathryn Gutzwiller will present her research on recently discovered mosaics depicting lost scenes from four Greek plays popular in Roman antiquity . Her presentation, “New Menander Mosaics and the Papyri,” will introduce previously unknown scenes by Menander, an Athenian comic poet from fourth century BC whose popularity in the Roman empire was only exceeded by Homer. Papyri—thick paper-like materials on which texts were written —are just one medium for preserving information about ancient times. 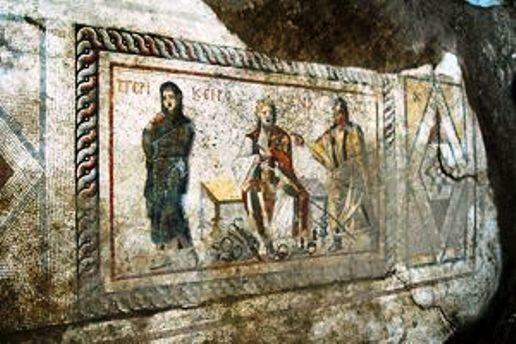 Paintings, mosaics, and small-scale replicas also help reconstruct the plots of Menander’s plays . When Ömer Çelik, a staff archaeologist at the Hatay Archaeological Museum in Antakya, Turkey, discovered four mosaics during an expedition, he asked friend and University of Cincinnati geography graduate student Ezgi Akpinar-Ferrand to help identify their subjects. She immediately contacted the Department of Classics, knowing Gutzwiller’s background in ancient literature. 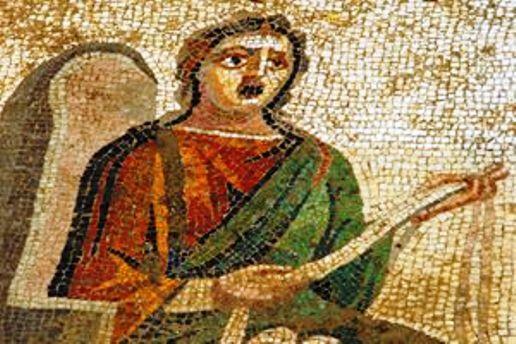 A mosaic found in modern day Turkey represents Menander's poem 'Perikeiromene' ('Girl Whose Hair is Shorn'). Gutzwiller will be one of four invited speakers featured at the APA presidential panel. Steven Ellis and Kathleen Lynch, also with UC’s classics department, will present their research at the conjoined meeting of the American Institute of Archaeology as well.